Connie Veneracion is a former writer for The Spruce, contributing articles and recipes one and a half years. She learned to cook by hanging out in the kitchen with her grandfather, grandmother and father. She cooked her first complete dish when she was in the fourth grade—a huge bowl of spaghetti that she brought it to the class field trip. She hasn't stopped cooking since. Growing up, she developed her own style and techniques with a lot of help from cookbooks and the television. Then, she started creating her own recipes. As a wife and mother, Connie has been feeding her family with home cooked meals for over two decades. She has a bias in favor of whole foods and is completely obsessed with Asian cuisines. A lawyer by profession, she retired early to raise her two daughters. When the girls went off to school. In 2003, she created a series of blogs as a creative outlet for three of the things she loved to do—cooking, writing and photography. Within a short time, her blogs caught the attention of international media, including Gourmet magazine and the New York Times and Connie was recruited by mainstream media. Connie is a lawyer by profession, graduating from the University of the Philippines with Bachelor of Arts and Bachelor of Laws degrees. 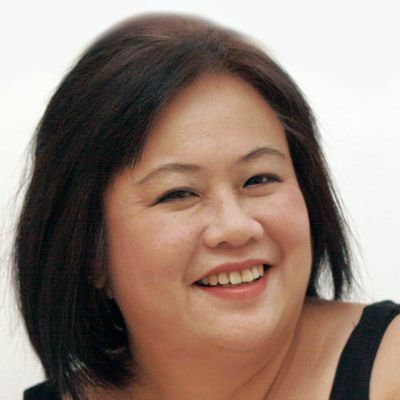 Connie Veneracion wrote a weekly food column for a Philippine newspaper and was a regular contributor to a family magazine. Her family food site, Casa Veneracion, continues to publish recipes and cooking tutorials. The Spruce, a Dotdash brand, is a new kind of home website offering practical, real-life tips and inspiration to help you create your best home. The Spruce family of brands, including The Spruce, The Spruce Eats, The Spruce Pets, and The Spruce Crafts collectively reach 30 million people each month. For more than 20 years, Dotdash brands have been helping people find answers, solve problems, and get inspired. We are one of the top-20 largest content publishers on the Internet according to comScore, a leading Internet measurement company, and reach more than 30% of the U.S. population every month. Our brands collectively have won more than 20 industry awards in the last year alone and, most recently, Dotdash was named Publisher of the Year by Digiday, a leading industry publication. What Are Popular Fruit Vegetables in Southeast Asian Cooking?